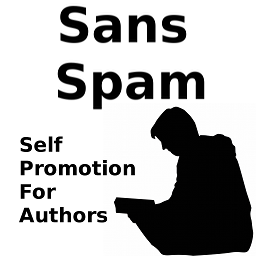 This post is part of a project tentatively titled Sans Spam: Self Promotion For Authors. I’m releasing this book in sections on my blog, but when it’s all finished I will offer the whole thing as a single eBook. Everyone who donates toward its production (use the coffee cups to the right, note that it’s because of this effort) will get a free copy of this eBook. You can find all the posts here. An elevator pitch is a synopsis of your project that you could (theoretically) give during an elevator ride. Thirty to sixty seconds. It’s not as important as you think. Okay, that’s not fair. An elevator pitch is absolutely perfect for what it’s for – when you’ve got an audience (captive or not) for about a minute. They either want to (or have to) listen to your pitch. They’re not actively antagonistic toward it. And it’s not directly competing with a lot of other pitches at that time. So an elevator pitch is great for when you’ve bought an editor or publisher a drink and they ask (ASK) “So what are you working on now?” That is the time for your elevator pitch. Let me give you an example, using my short story “Kicking the Habit”. Tagline: A romantic zombie story. Elevator pitch: After the zombpocalypse, two high-school sweethearts meet again as zombies, and they work together to stop eating brains. Summary: After the zombpocalypse, the main character meets his high-school sweetheart again. They’re both zombies, but somehow, she no longer eats brains. Despite the baggage of their bad breakup and her sudden death, they work to rekindle their romance and overcome the curse of the zombie lifestyle. The tagline is designed to be something that both gets attention and tells a little bit about the project. If it’s slightly confusing – just slightly – all the better. Then it can’t be pigeonholed. “Romantic zombie story” works perfectly. It gets a “WTF?” reaction – and while the person may not buy the story or come to the reading, they’ll definitely stop to hear more about it. The elevator pitch seems short, but 30 seconds is a short, short time. Technically, my summary could be an elevator pitch, but we’re looking at the comparative level of detail. Summarizing a short story without retelling it is a bit difficult. Still, we’ve got more of the actual plot here – a little bit more about the characters, and what they’re struggling to overcome. The summary describes more of the plot – bad breakup, huh? – and a bit about the opening setup where the female lead doesn’t eat human brains. Again, this is a bit short, but I think it gets the point across. We’ll do this again with another (longer) project of mine – “Spec The Halls“. Tagline: Raising money for charity with holiday-themed speculative fiction. Elevator pitch: Spec The Halls is going to raise money for charity, increase exposure of writers, and generate holiday-themed fiction through a contest and sales of an eBook. Summary: Prior winners of Spec The Halls, along with professional authors, will be asked to donate their stories to the creation of an eBook that will go on sale at the beginning of Fall. All net receipts will go directly to a charity. At the same time, a contest for new winter-holiday themed fiction will be going on, judged by professional authors and editors. The cash prizes for this contest will be donated by Alliteration Ink, and the stories will be incorporated into the next year’s charity eBook. In this case, it is very obvious that each section builds on the one before. The idea again is to intrigue your listener – whether they’re an editor, publisher, or random con-goer – into wanting to hear more. You have your tagline ready when someone is walking by your dealer table and glances at the book, or when you’re at the end of a panel. Trust me – this sort of thing not only makes you memorable, but it also makes them want to know more. This post was part of Sans Spam: Self Promotion For Authors. I’m releasing this book in sections on my blog, but when it’s all finished I will offer the whole thing as a single eBook. Everyone who donates toward its production (use the coffee cups to the right, note that it’s because of this effort) will get a free copy of this eBook. You can find all the posts here.